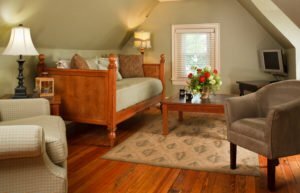 Located in the third floor loft of the Carriage House, this special suite features dormered ceilings and furniture and accessories adorned in soft shades of straw and green. Its tree-top setting provides stunning views of the “Star of Bethlehem” on South Mountain Street and the Lehigh Campus on the hillside. The living room offers overstuffed chairs, a daybed to sleep a third person and a flat-screen TV. 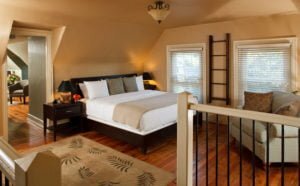 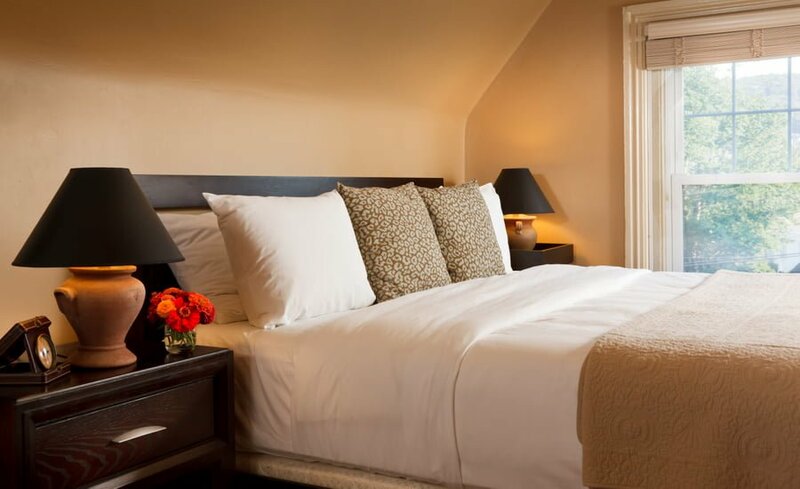 The bedroom features a king bed and an additional flat-screen TV. The unique bath offers a deluxe, glass-tiled walk-in shower and slate floors. 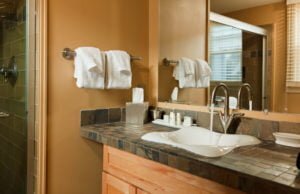 Accommodates three guests.